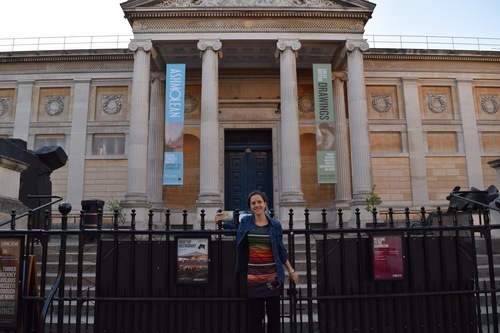 an about-to-be second year MA student had the opportunity to spend six weeks at the Ashmolean Museum in Oxford, under the supervision of Dr. Tim Wilson. 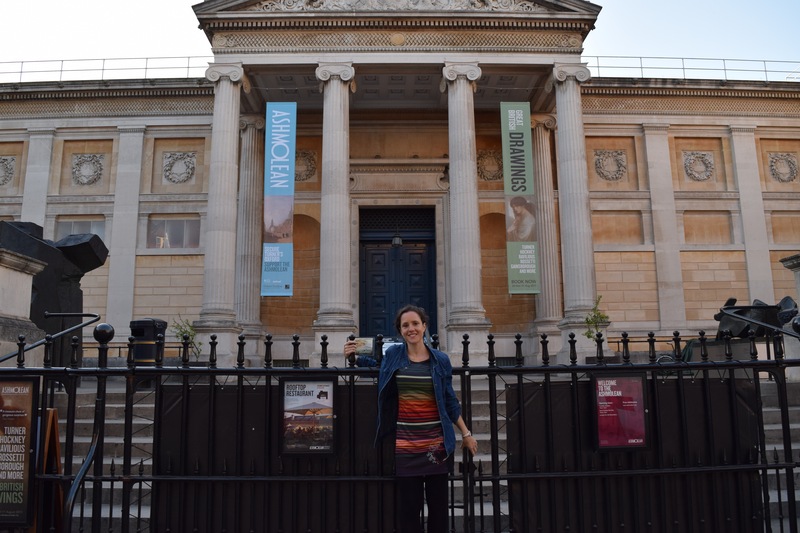 I thought you might like to read some of what Ana's summer was like; and also to thank Tim Wilson and the Ashmolean team, who made this extraordinary experience possible! Ana writes: "My summer internship in Oxford was a very rewarding experience in many fronts, from the personal, to the professional and the academic. I spent a total of six weeks, the first two at the Beazley archive, and the remaining month in the Western Art department at the Ashmolean museum. In the Beazley, I familiarized myself with the archive’s library, projects and publications on gems and cameos, and I also met key people in the gem field: Sir John Boardman, Dr Claudia Wagner and Martin Henig. My work there involved identifying copies in electrotype with the original Beverley gems photographed for an upcoming publication. Also, I learned how to take photographs of gems and cameos up-close, which proved useful for one of my research projects in the museum. At the Ashmolean, I primarily assisted curator Tim Wilson, an expert in Renaissance maiolica, who was a true mentor during my time in the museum. I completed two research projects under his supervision: the iconography of a recently acquired maiolica istoriato bowl, and the cameos decorating a coin cabinet. From the beginning, I fitted in well within the Ashmolean's Western Art department team, where I helped in different tasks, from updating their database, to serving the public in their Print Room, finding and handling original drawings. Moreover, by the end of the internship, my efforts were felt both in the museum, and also in my own research. After attending a National Trust conference on Cabinets of Curiosity at Waddesdon Manor, I clarified the focus of my MA qualifying paper: to study the presence of gems and cameo collections in 16th-17th century curiosity cabinets. For this intensely rich experience at the Ashmolean Museum in Oxford, my sincere appreciation goes to the whole Western Art department team, with special gratitude to Tim Wilson, who taught me so much in little time, and I thank Bard Graduate Center for this wonderful opportunity. "